Its about time that i updated whats been happening since my last post, over two months ago. 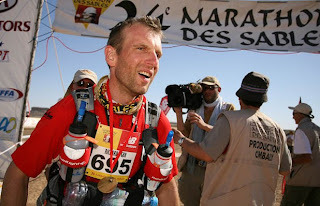 Running has only recently re-started, due to a combination of recovery and nasty illness (not picked up in Morocco). This has reduced me to only a handful of miles per week since late May, but hopefully i can now start to push out more each wee. I have already applied for another race, albeit only ½ marathon distance, the Henley ½ in October, with Alex Flynn, who has also been recovering from the MdS, and plans for next year are being drawn up. London Marathon or failing entry (should be a guaranteed place) Day/Night double Marathon in Stratford - April, with Ambition events (might run both if my wife is also accepted into the London Marathon as I would run with her at her pace). Best laid plans rarely go without a hitch, but that's the aim. 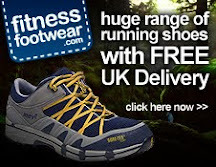 Fitness Footwear (www.fitnessfootwear.com) have asked me to test and review some more shoes for them, and have also expressed an interest in making me their athlete of the month (obviously everyone else said no).